Civil engineering students Luke Kreltszheim, Chris Jones and Stuart Hooper. 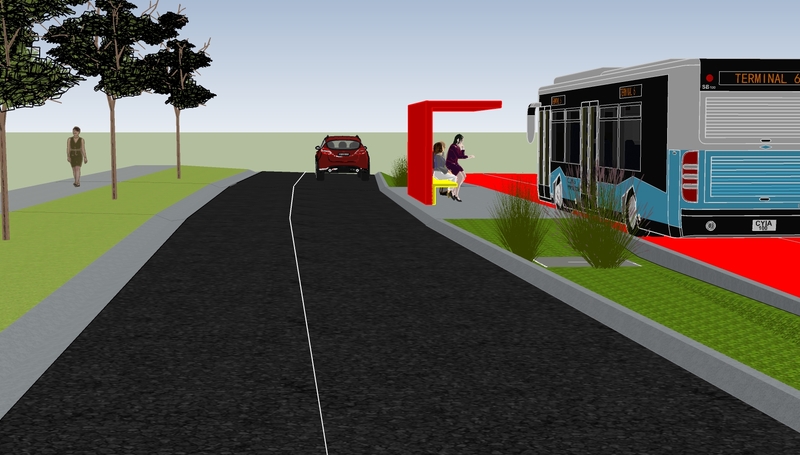 One of Bendigo’s busiest streets could serve as a case study for the transport corridors of the future. 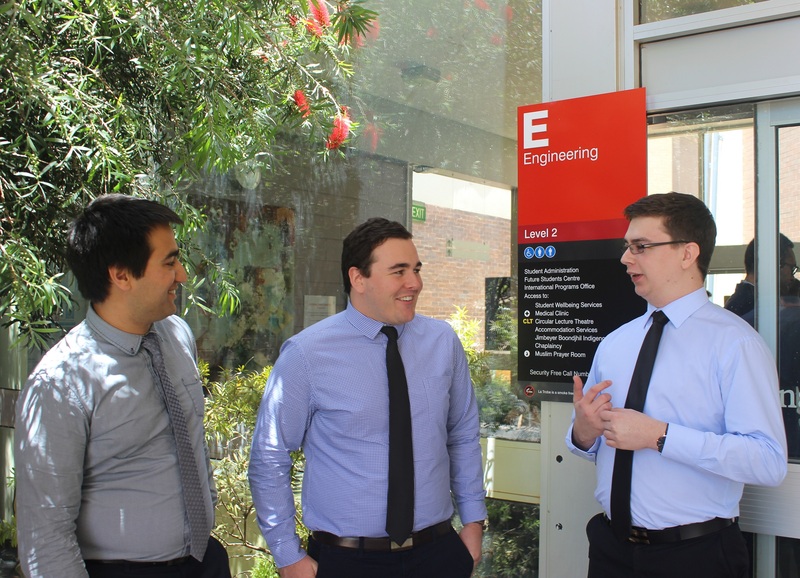 Three Bendigo civil engineering students have asked the question, what should busy regional roads look like in 2040? To answer they referred to Napier Street in White Hills to design a template for the “ultimate” sustainable transport corridor. Final-year students Luke Kreltszheim, Chris Jones and Stuart Hooper found Bendigo was the perfect example of a regional city experiencing unprecedented population growth and heavy traffic on its arterial roads. They studied the current conditions along Napier Street and investigated how similar roads could be improved to sustainably serve their communities in future decades. “We tried to predict what the future would be like and what the needs of commuters would be in 2040,” Stuart said. Napier Street currently supports 22,500 vehicles daily. Stuart said although Bendigo’s population was estimated to increase by 70,000 in the next 25 years, urban traffic should decrease, with just 20,000 vehicles on Napier Street each day. This estimate relied on heavy traffic being diverted on a dedicated truck route, and buses, trains and automated vehicles being the norm. 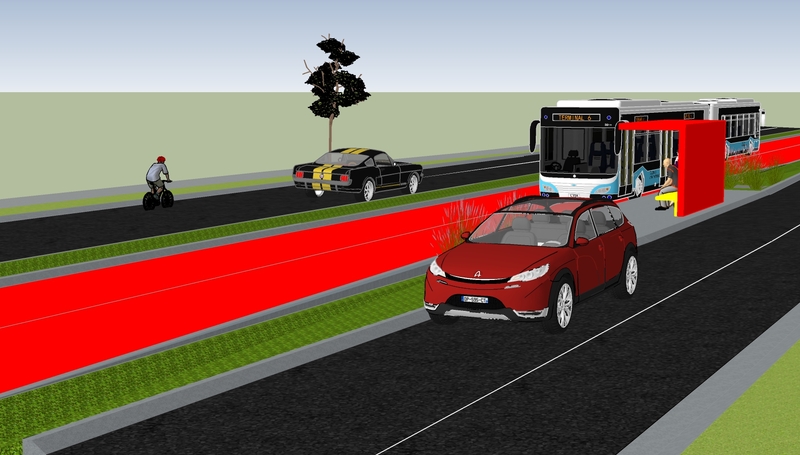 The design incorporated central bus lanes, with one lane of traffic either side, then a wide bicycle lane and pedestrian footpath, all separated by green “refuges”. This innovative design was presented at the annual final year civil engineering student investigative seminar at La Trobe’s Bendigo campus. Although the design was developed as a university project, these students are the civil engineers of the future, and are soon to have an influence far beyond the lecture theatre. “We believe this solution could easily be transferred to other urban corridors in Australia,” Chris said. Other student investigations undertaken this year included independent production of electricity for large towns, the lifespan of asbestos cement in water mains and mining backfill materials and techniques at Fosterville Mine.